There are plenty of activities and sports on offer in the area so if you are the type of person who wants more from your holday than a sandy beach or poolside lounger then the following should help to keep you busy. Walkers and nature lovers will adore the stunning mountain scenery just a few minutes away from the coast. Our walking and nature parks section has more details. Believe it or not we have water here too - and we don't just mean in the sea! 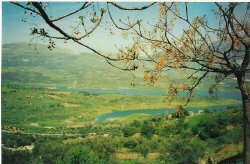 Spain's love of hydro-electric power has given rise to a large number of reservoirs which are surprisingly good for freshwater fishing. For details on both fresh and sea water fishing see our fishing page. If golf is your game there are 2 courses in the area. For more information see our golf page. 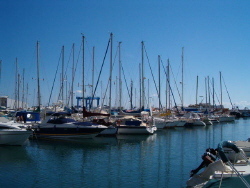 If you are interested in boats then make sure you visit the local yacht marina at Caleta de Velez. As well as the pleasure boats you can see the working fishing port and there is a nice bar/restaurant where you can sit and watch what is going on. To get there take the N340a coast road from Torre del Mar towards Nerja and turn right at the small roundabout at the yellow Puerto sign. There are watersports available on many of the more developed beaches. You will find more details on our beaches page.